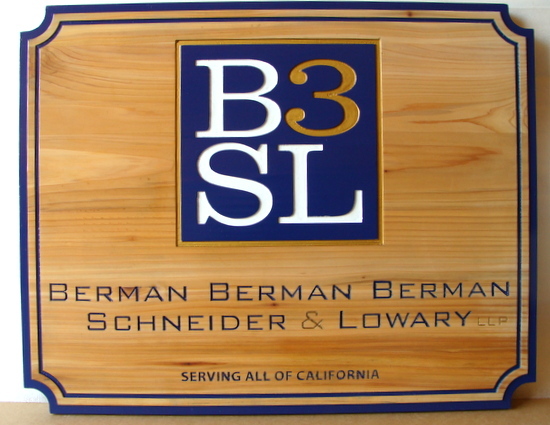 This natural yet formal Cedar sign is unique and impressive- the engraved (incised)text, borders and logo are painted dark blue or white to contrast with the wood . Other good colors for this wood sign are forest green and white and black and white . Return to the Gallery 10 (Attorney and Courtroom signs) page by clicking on "Return to List" below right.